What should I expect from the My Year Without Clothes Shopping program? 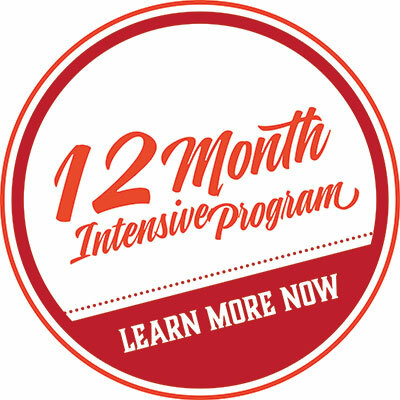 What you get out of the 12 month program depends on how you approach it. The program is designed for you to interact with it – not just scan the material. Any form of improvement in your relationship to shopping, yourself, your wardrobe and your wallet will ultimately come down to you. What I can do, and have done with the program’s design and flow, is to give you the tools to motivate yourself. The program is organized into 12 themes – one for each month. You can read about each of the themes here. We also have more detail about the program here. What makes this program unique is how the content has been organized and pulled together. It is a program, not just a one-off download. You’ll find the material very accessible, because its delivered in manageable pieces every week throughout the year. We’ve organized the material to make it oh so easy for you to access and take action on. In addition to that, consider that you’ll be getting access to the most amazing faculty, each experts in their own field. Their material has been specifically organized around the Year Without Clothes Shopping theme, in an easy-to-access format. You won’t find this collection of experts in one place anywhere else. We’ve done the hard work for you with this program’s design. We’ve compiled relevant, rich and rewarding material in a weekly tutorial format. Whether you want to radically cut down on your over-spending, or take the full challenge of a year without clothes shopping – let’s do this together! Every person’s savings is going to be different. Here’s a rough guideline on how to work out what you’re likely to save. Add up what you are spending per week or month on clothes, shoes, accessories, handbags and all other adornments of the body (include fabric, beads, etc). Multiply that by 52 (or 12 if you did a monthly guestimate) and you’ll have the ballpark number of what you’re likely to save during the year by doing this program. It could be hundreds, thousands, or even tens of thousands of dollars. It may be that what you are spending in a week will more than cover the cost of tuition. But that’s just the beginning of what you’ll save. The other part of the equation is what you’ll save after the program is finished. Because you’ll know the building blocks to creating a truly working wardrobe … because you will have explored your relationship to money … because you will understand the emotional and psychological drivers of your shopping … because you’ll know the true options you have in shopping consciously … because you’ll be able to organise your wardrobe so you can truly shop your wardrobe …because you will have developed a healthier relationship to shopping, in your own terms …. because you’ll know all these things and much, much more – your investment in this program will pay dividends long after the last lesson is delivered to your inbox. This program provides you with material — tools, illustrations and resources — that you can use over and over again, long past the last day of your challenge. This program is also an investment. An investment in you, your wardrobe, your finances, your emotional and psychological health. We give you so much in this program to set you up to succeed. The tuition cost is an incredibly small outlay in comparison to what you’ll receive in return. Do I need any special computer skills to do the My Year Without Clothes Shopping program? We hear from women who want to do the program but aren’t sure their computer skills are adequate to do an online course. The answer is: there are no special computer skills required to be able to do this program. If you can get online to visit this website and navigate around the pages here (which I’m guessing you can, if you are reading these words right now), and if you can do email — then you have all the computer skills you need to do this program. What currency are the programs in? The programs on this site are listed in USD, and the reason for that is that much of the readership of this site is outside of Australia, and many of the purchases of the programs are made outside Australia, too. Constant overspending and its concomitant issues such as emotional fatigue and a sense of futility and chaos, is a global issue, sadly; the good news is that this site is reaching a global audience, which is wonderful. Because of our global readership and the fact that USD is the standard international currency for selling goods on the internet and is also the default currency for PayPal, our programs are in USD. A year seems like a long time – I’m not sure I could do it. 1. Deliberate program design. The program is deliberately designed to be an enriching and engaging experience. Every week you’ll receive a lesson fresh into your inbox, full of inspiration and ideas on that month’s theme – click here to learn more about how the program is put together. There is a resource for each weekly lesson to get you taking action at your own pace. We’ve done all the hard work in setting up the program so it’s easy for you to access the weekly material. The program is designed by me and there is a phenomenal faculty who have contributed to much of the program. The program is chockablock full of interesting and enlightening ideas and practical suggestions, arranged in 12 key themes. 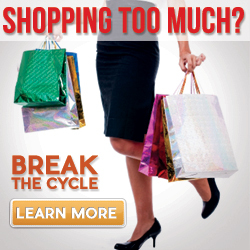 Most women who join our program have been working on their shopping habits for years, sometimes decades. These kinds of entrenched habits won’t disappear overnight, or with a single downloadable info product. Real change is a process – not an event. This program is a year in length for a very deliberate reason, and that is it can take that long to get some real traction in changing your relationship to yourself, your shopping, your wallet and your wardrobe. Anything less than a year may just be scratching the surface. If you are looking for real change, and not just a band-aid solution, you need to dedicate yourself to a process of change. And that’s what we offer with this program’s deliberate design. 2. Join with a friend. Consider doing the challenge with a friend or family member. Enrol your friends, your sister, your sister-in-law, your mother, your neighbour, your workout buddies, your classmates, your book club! You’ll receive a lot of support via the program itself (in the weekly two-part tutorial and in the protected Members Only area where the weekly bulletin boards are accessed). You’ll multiply that if you do the program with someone else – you can share the journey together! Can I shop, just a little bit, while I’m on the program? This is the main thing holding me back from signing up! We understand that women join the program for many and varied reasons. Some join because they want to maximise their current wardrobes – they know they have some good pieces but they’re not sure how to make the most of them. They know this program will walk them through the building blocks to creating a wonderful working wardrobe. Others join because they want to radically cut down on their shopping, a problem they may have been dealing with for years, decades sometimes. They know this program explores the emotional and psychological reasons that we shop, and gently but firmly takes them through an understanding of how money fits into the picture. And some join because the spirit and the specific parameters of the challenge are what they want – they want to have a year without clothes shopping. They know this program covers the jigsaw puzzle of over-shopping like no other program in the world, delivered by the most phenomenal faculty you can imagine assembled. You’ll join for your own reasons. We know that. We’re cool with that. We’re equally up front that this program is designed around the concept of a year without clothes shopping. That said, the spirit of the challenge can be upheld even if the specific rules aren’t always strictly applied for all members. We don’t call you up to the front of the class at any time and ask you to report in. The program is based on the premise that you’re self-motivated and committed to a year without clothes shopping – however you apply that to your specific circumstances. Our suggestion – during and post- challenge — is “borrow rather than buy, swap rather than shop”. So during the year, we also suggest clothes swaps and borrowing from friends and family as another way to add necessary items to your wardrobe during the year without buying new. Shopping for clothes is kind of traumatic for me, so I’m not really what you would call a shopaholic. What would I get out of this program? It’s a myth that all women love shopping and all women love clothes. I’ve learned that a good proportion of women don’t like shopping or clothes. This program may still be good fit for you. If you do not know the building blocks to creating a working wardrobe (such as if you don’t know what styles and colours suit you… what fabrics wear well on your shape… what ‘gaps’ you have in your wardrobe… how to maximise what you already have by mixing and matching well… how to organise what you have so it supports and inspires your clothing choices every day)…. in short – if you don’t have a wardrobe that works harder than you do … or if you’d like to understand your relationship to money and your spending habits better…. this program will have a lot in it for you. A lot of women are overwhelmed by the choices they are faced with in clothing and department stores. They’re confused about what will suit them, afraid of wasting money, and have no time for squandering in shops. They don’t know how to set their closets up so they feel like they can ‘shop’ in them. All those things (and so much more) are addressed in this online program. 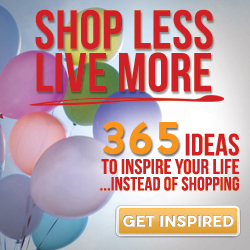 I’m not sure I’m a shopaholic – I shop a lot, but isn’t shopping a fun activity? Shopping can be an enjoyable pastime, and it can fulfil many needs from the social to the practical and the emotional. If you’re not sure what the definition of a shopaholic is and whether that term applies to you, sign up for our Free Report (12 Keys to Conscious Clothes Shopping) and our Free Assessment (Are You a Shopaholic?) to learn more. 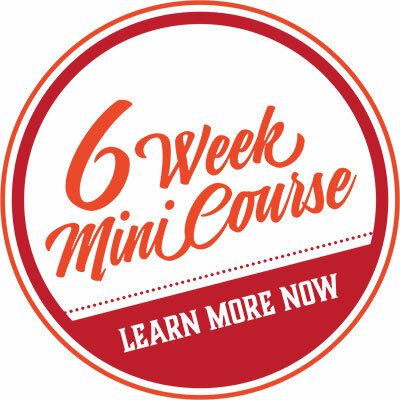 Or just go straight to our Mini Course – it’s only 6 weeks and will introduce you to the key concepts of conscious shopping. Here’s another suggestion if you’re not sure you overshop: buy a small notebook that you can carry in your bag. Over the next week, or next few weeks, write down everything you spend. Every. Single. Item. At the end of the week, or few weeks if you’ve tracked your shopping for longer, have a look at what you’ve spent, and on what. There is nothing like hard data to provide a clear view of what you are actually spending your money on. We often hold a distorted view of what we spend – we think it’s less than what it is. Our wallet is lighter, our credit card statement seems longer… but we’re not quite courageous enough to look closely to see what’s really going on. Tracking every dollar that leaves your wallet, whether it’s in cash or on plastic, is a great way to get an accurate picture of what you’re spending. Once you’ve done that, you’ll be able to know if your spending is healthy. Or not. What if I have a problem signing up and completing my registration? On the very rare occasions this happens, it’s almost always because you didn’t return to the website after you completed the payment process via PayPal. Such problems are easily and quickly fixed. The best thing to do is to contact technical support and let us know of the issue, and we’ll get back to you as quickly as we can (almost always within 24 hours). Please don’t take any other action as this just slows the process down. So if you have paid but haven’t been able to complete your registration, contact technical support and know that we will prioritise your query and get back to you ASAP. We’ll get the problem sorted out quick smart! First thing to mention here is that if you are receiving emails from us, it means you have subscribed to our newsletter, probably because you wanted to get your copy of the free report: The 12 Secrets to Less Shopping – More Style. We all sometimes forget where and when we signed up for something, but rest assured that your permission was expressly granted – there’s no other way for you get on our list to be receiving emails from us. The reason for that is the system we use (Aweber) has what is called a “double opt in” process, which means that you had to have confirmed you wanted to hear from us, otherwise you wouldn’t be confirmed on the list. And it’s also worth saying that it our pleasure and privilege to be communicating with you! We know how much information is available “out there” and how easy it is to be overwhelmed by too much “incoming” in your Inbox. All that said, if you want to unsubscribe so that you no longer receive emails from us (such as our newsletter, or the free updates that come as part of the free report: The 12 Secrets to Less Shopping – More Style), you can easily unsubscribe by clicking on the Unsubscribe link at the end of every email. How can I make sure I receive your emails? It’s worth being sure that you use an email address which you have some control over and allows you to receive system-generated emails. (We have discovered that some work email addresses are particularly aggressive about filtering emails sent via an online email system and this can cause problems in receiving your daily emails). If you only have a work email address, we strongly suggest that you consider setting up a personal email address instead. It’s quick and free/cheap to set up an email address on Gmail, Hotmail or Yahoo and it will ensure that we get you all signed up easily, quickly and without hassle, and that your Daily emails come through every single time without a hitch. The other thing you should do is to make sure that you whitelist us. How do I whitelist you? Our email address is contact@shopyourwardrobe.com. You might find helpful instructions here on how to whitelist an email address in a variety of popular email programs. I have a technical problem and need help quick – who can help me? then contact our Tech Support. We’ll be back to you very quickly and help you sort out your issue. We get very few technical issues, but those we do, we always sort out (we have a 100% success rate with fixing idiosyncratic problems), and we do so quickly. Which program should I do? The 6 Week Conscious Clothes Shopping Mini Course. 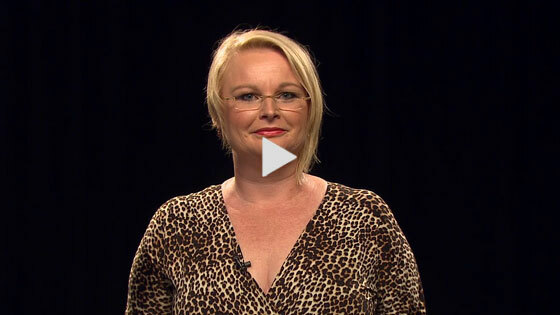 This is a sensational short course that introduces you to the principles of conscious clothes shopping. Read all about it and sign up here. 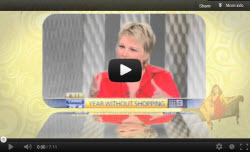 The 12 month My Year Without Clothes Shopping program. The FAQ you’re reading now, and many other pages on this site (such as this one which lays out the 6 pieces of the overshopping puzzle, and this one which gives you details on each of the 12 themes covered in the 12 months), will give you all the information you need about this program. This is our flagship program – unmatched by any other we know of in the world. You can sign up for this program here. If you’re interested in conscious shopping, start with the Mini Course. If you’re serious about creating a healthier relationship to shopping, yourself, your wardrobe and your wallet – sign up for My Year Without Clothes Shopping. This program is a great idea! How can I support My Year Without Clothes Shopping? 1. Upload a banner to your site/blog. Find images or video on our images and video page or colourful banners and images on the theme of Shop Less and Live More here. 2. Blog/articles and newsletter mentions. We’re very open to exchanging article and blog postings, and/or writing a series of posts for your blog or site. If you have a regular newsletter and are looking for newsy items to include, consider adding something about our program and the conscious shopping movement we are part of. Please be in touch if this idea appeals to you and we’ll discuss the best ways to support you and provide you with the information you need. Other ideas? If you’d like to talk with us about any other ideas for collaboration or mutual support – please be in touch! Click on the image to watch Jill's story and learn what "My Year Without Clothes Shopping" is all about. Click on the image to hear Jill talk about her relationship with shopping.